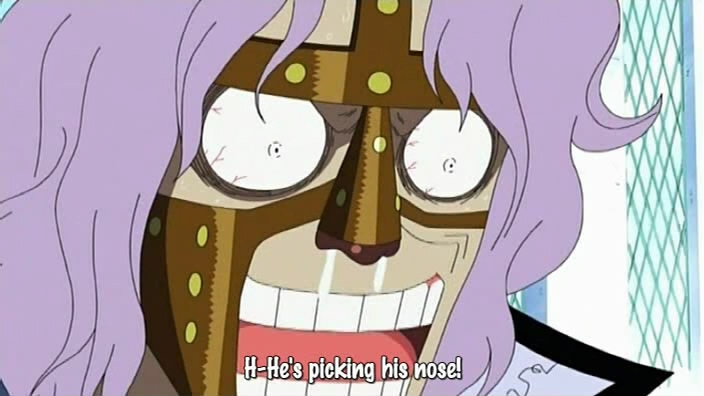 I haven’t watched One Piece in a while. So, I guess I should start with my impressions of this episode. 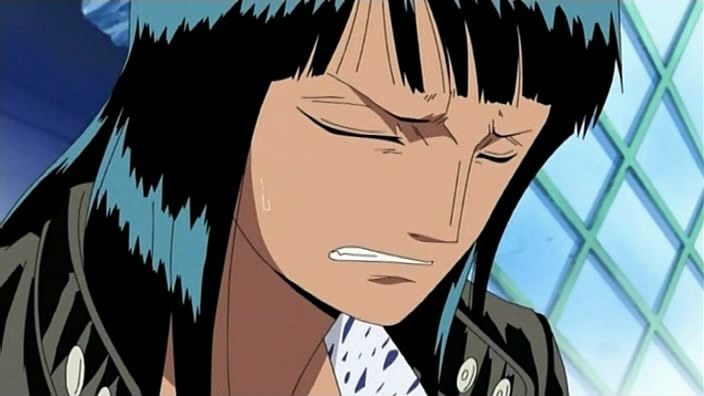 Robin didn’t like the idea of the crew going out of their way to save her. I guess it’s because she was used to being left behind or betrayed in her past. That, and probably in her opinion, the crew will be wasting their lives, and her sacrifice. Luffy, on the other hand, did not take any of her “desire to die.” I’m impressed with Luffy’s stubbornness, when he said that if she’d want to die, then she might as well die as part of his crew. That is, they went through all that trouble to save her, so she better be alive. If she wants to die, she should do it after they save her. 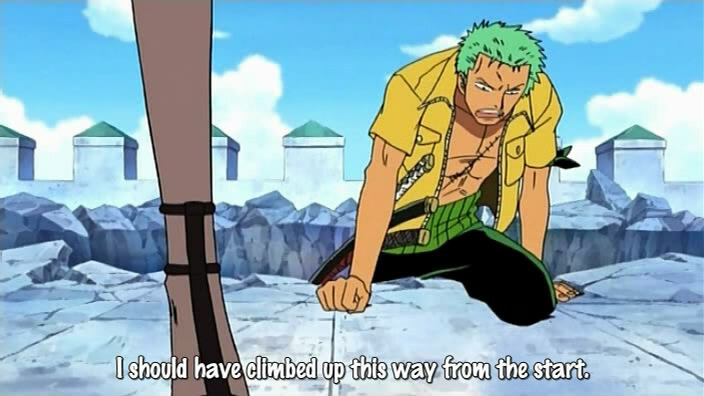 I really cracked up at Luffy’s messed-up logic. If she dies after them saving her, wouldn’t that still make their efforts be a waste? Well, at least they were able to save her, right? 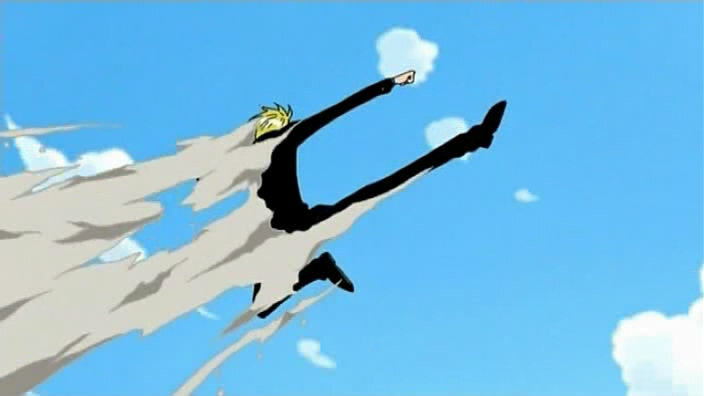 Moments later, Sanji bursted through the roof, all the while believing that he got there first. 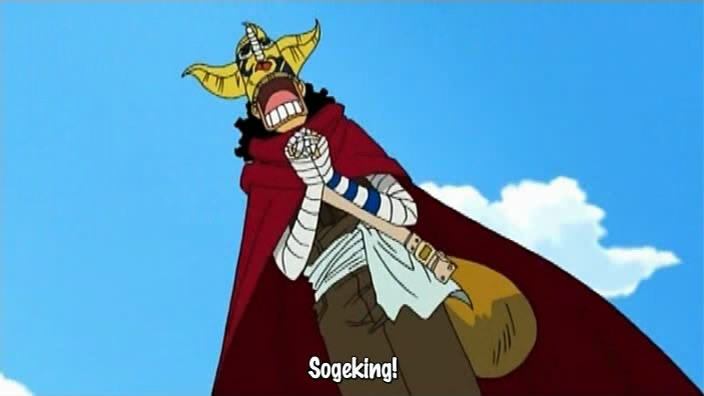 Though nothing beats Sogeking’s flying entrance after being tossed by one of the giants. He should work on his landings, though. 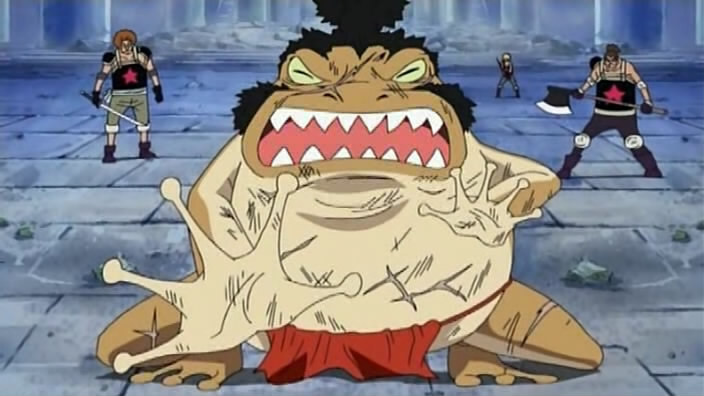 In any case, I believe Luffy did a splendid job of conveying his feelings to his crewmate. Not only him, but everyone did, which slowly broke Robin’s wall and resolve on dying then. Well, that’s it, I guess for this episode. And now, I’ll leave you with this picture of an awesome frog, while we talk about stuff in the comments. 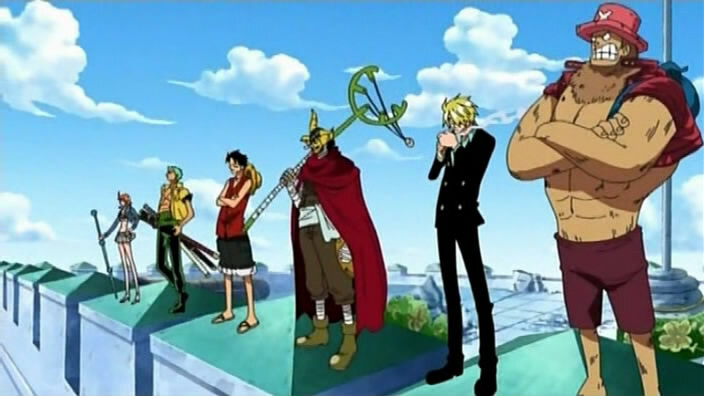 Posted in review.Tagged anime, chopper, luffy, nami, one piece, reunion, robin, sanji, zoro.